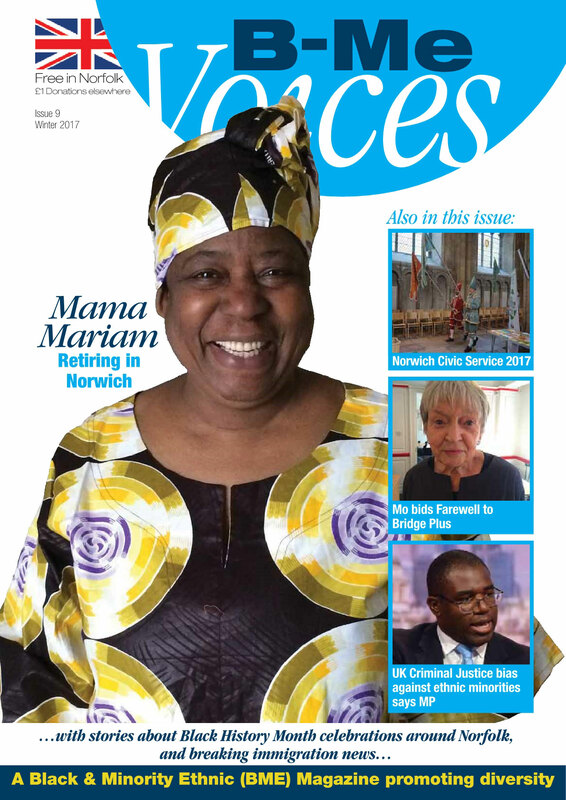 The Bridge Plus+ is a Norfolk based black/Asian and minority ethnic (BME) organisation aimed at improving community cohesion through innovative community engagement activities and service delivery to promote race equality and diversity. Community engagement-We facilitate community engagement events, activities and training opportunities which build relationships between community members. Our ongoing monthly community cuisines events are funded through different small funding pots. We champion race equality through our flagship Norfolk Council for Race Equality & Diversity (NCRED) which aims to promote and advocate for race equality and tackle discrimination through partnership working. Due to lack of funding for this area of work, most of our NCRED objectives are achieved mainly through the direct intervention support provided to BME community members as part of our information, advice and advocacy casework. Our race equality work is also reflected through our involvement at different strategic and community levels, where we continue to represent the voice of and play an advocacy role for BME people. To facilitate community events, activities, and training opportunities where people can meet, interact and engage better and increase their understanding of each other. Empowering community members with knowledge and information through tailored service delivery and ensure that mainstream services providers are able to respond to the needs of the new and diverse communities based on accurate information. To identify activities of common interest to community members and encourage group activities around those issues which will give us all an opportunity to capture community views and aspirations to better inform local integration policy development. Legal Structure-The Bridge Plus+ is a not for profit, non partisan voluntary community organisation set up for charitable purposes for the benefit of all community members in Norfolk and is registered as a company limited by guarantee in England and Wales No. 7909389. The Bridge Plus+ is run by a management committee of local people. Our committee is supported by a Board of Volunteer Advisors,which includes long standing community members from diverse backgrounds within the voluntary, statutory and community sectors in Norfolk. BBC secret film on letting agents discriminating against Migrant Workers.